Today’s modern self-storage operator is a well-oiled, unit-slinging machine capable of generating a powerful revenue flow with the touch of a button. Their customer service is inspiringly effective yet never lacks that personal touch and they possess organizational skills that would put Martha Stewart to shame. How did these masters of self-storage perfect their craft so well? What sacred arts have been passed down through the generations? There is no mystifying trick – they simply take advantage of the technologies available to them in order to focus on the customer experience. While the process of finding and renting a storage unit can take mere minutes for the end user, the processes that are all working together in the background are intricate and precise to achieve this desired result. The real magic lies in careful planning and efficient execution of today’s modern strategies. Like a newborn baby rising to their feet for the first time, the first steps for a customer looking for a self-storage unit are often small and uncoordinated. According to a study by Forrester, an American market research company that provides advice on existing and potential impact of technology, 71% of consumers start their journey with a web search and 74% use search engine information in consideration for purchasing. That means that almost three quarters of your potential customers are already making judgements about your business before even seeing your website while simply browsing their options. In order to make any first impression at all, you have to get your business in front of them. SEO (search engine optimization) and SEM (search engine marketing) complement each other and become crucial points in your business plan as they ensure that your presence doesn’t get lost in your local market’s search results. Search engine optimization (SEO) is honestly an extremely broad subject that encompasses many different aspects of a website, but focuses on the overall goal of reaching your desired audience though an organic search. This includes (but is definitely not limited to) both “on page SEO” such as unique content with naturally flowing keywords, image optimization, and all manners of meta data and “off-page SEO” that includes local listings, backlinks, and anything that speaks to the website’s quality and authority. Basically, if you don’t know your way around some code and understand what factors are important in this area, it’s probably a good idea to let a professional assist with your SEO. Search engine marketing (SEM), on the other hand, commonly refers to the paid advertising results within search engines on a pay-per-click design. The most commonly recognized form of which is probably Google AdWords, which you can notice as usually the first three results from a Google search. These are customized ads shown based on different factors during the search request and marked with a small “Ad” tag next to the website. Implementation of these types of tools offer a very forgiving setup process and not as expensive as one might think, allowing you to set budgets and bids at will for testing with an average cost per click of only between $1 and $2 on the Google search network. In general, this is probably something that I would consider to be easy to learn, but difficult to master and definitely worth considering. So now we have some tools in place to direct traffic to your website and we’re ready to be found by our future renters. This brings us to the website itself and the most important thing to remember is that you only have a few seconds to grab their attention. In fact, Chartbeat (a leading content intelligence company) looked at over 2 billion visits across the web and found that an astonishing 55% spent fewer than 15 seconds reading pages that they landed on. This means that you have an extremely short window of time to make an impression on your visitors and ensure that any services you may offer are readily available. Integrating your website directly into your management software has become a standard within self-storage and offers services that tenants have come to expect. Luckily, most cloud-based management software providers will integrate online services directly into your website at little to no additional cost to their users. 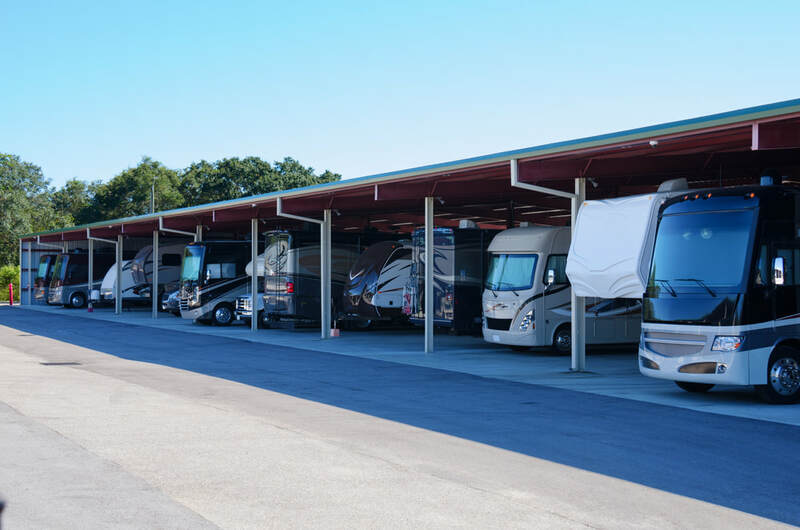 These important services include online payments, online reservations, and online rentals completed with electronic signature and once integrated with your management software, will update your unit inventory and customer accounts in real time. Because I am a firm believer of providing as many options as possible to consumers, I would strongly recommend at the least a combination of online payments and online reservations or online payments and online rentals to give your visitors the opportunity to secure the unit they need quickly while alleviating the hassle of time-consuming data entry from your on-site management. Many different studies been done on the subject and they all have shown that today’s customers expect these options to be available to them at this point, so if you are reluctant to embrace these options you may be holding your business back from thriving. Another fun acronym that is taking the self-storage industry by storm is GDS. GDS stands for Global Distribution System and is a system of networks that provide services to the end-user in a centralized location and allows for transactions to occur more easily. While seen often in other industries such as airlines and hospitality, GDS is quickly becoming a self-storage operator’s best friend by simplifying many of the aforementioned steps for both the operators and potential renters. First, the GDS collects information on available storage units at your facility. Next, the GDS distributes up-to-date information on self-storage inventory across search engines and social media sites. At this point, customers who are looking for self-storage are able to search online and find the perfect storage unit at your facility. Once they’ve found what they’re looking for, GDS incentivizes customers to purchase any storage and moving-related add-ons that you offer. 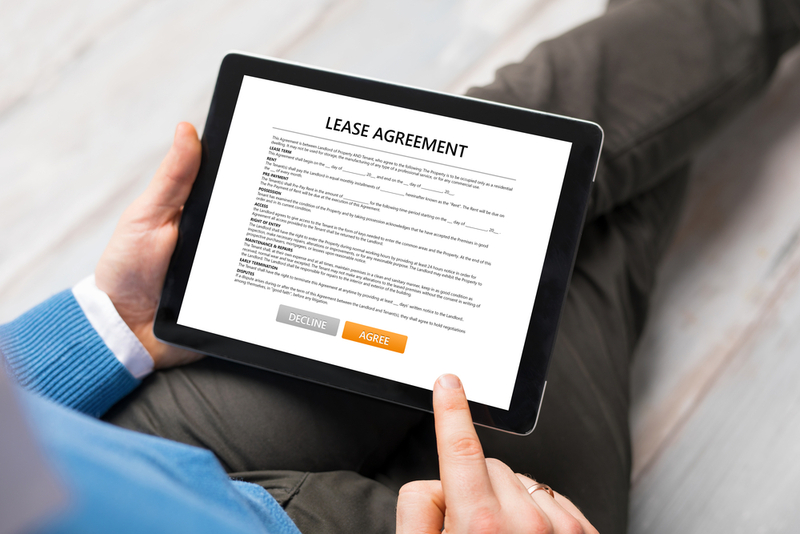 Leases are signed digitally and emailed to both the facility and the customer, while your management software is automatically updated with the new tenant’s information. The result? Increased profitability for the self-storage operator through higher occupancy with more upsells and a seamless experience for the customer. To further exemplify this – in a 2017 study of the hotel industry, it was shown that GDS bookings had increased by an astonishing 11.6% over the course of only one year. GDS bookings are on the rise in many industries and will undoubtably be prevalent in the increasingly technology-focused self-storage industry as well. If you’re looking to fully automate a facility without an onsite staff or simply want to offer your customers with another level of convenience and security, electronic locks such as the nokē® Smart Entry System developed by Janus International are another amazing asset to consider. Not only do these battery-independent locks allow for the 24/7 sale of units with instant access, but they also continuously monitor the status of the door (whether it’s opened or closed) and the lock itself (unlocked and locked) giving you more visibility into the behavior patterns of your tenants and overall security of your facility. Directly integrated with your management software, these locks also eliminate the need for manually overlocking units for delinquent tenants providing a truly automated solution for remote operators. In the end, from enhancing tenant conversion to driving operational efficiencies, technology is helping self-storage operators rent units faster and ultimately bring more revenue through the door by keeping the customer journey within scope. While advancements in technology continue to impact the self-storage industry, embracing the change will always lead to a beneficial outcome for both you and your tenants. Kevin, this is an excellent article and super helpful. Thanks for taking the time to write it!